I am roughly halfway through my MPA career. I started on July 14, 2014 with Financial Accounting and Introduction to Taxation and will finish August 17, 2015 with Social/Ethical Responsibility of Business and Financial Accounting Standards and Analysis II (Advanced). At this midpoint, I would like to reflect back on some highlights and look forward to some plans. 1. I have met numerous incredible people through this program including professors, the MPA staff, and my classmates. I am constantly learning from and inspired by these individuals and believe that I have formed connections and friendships that will far outlast this year. I am thankful to each and every one of you. This experience is life changing because of you. 2. A few weeks ago, I went to Houston for the day to see Maria Bamford at the Come and Take It Comedy Festival. This was my first time visiting the city and I had a great time eating at Mala Sichuan Bistro, exploring District 1 of the Houston Museum District, and of course seeing Maria Bamford perform–one of my favorite comedians. I look forward to going back to visit my Houston-bound classmates (see highlight #1) and exploring the city further. 3. 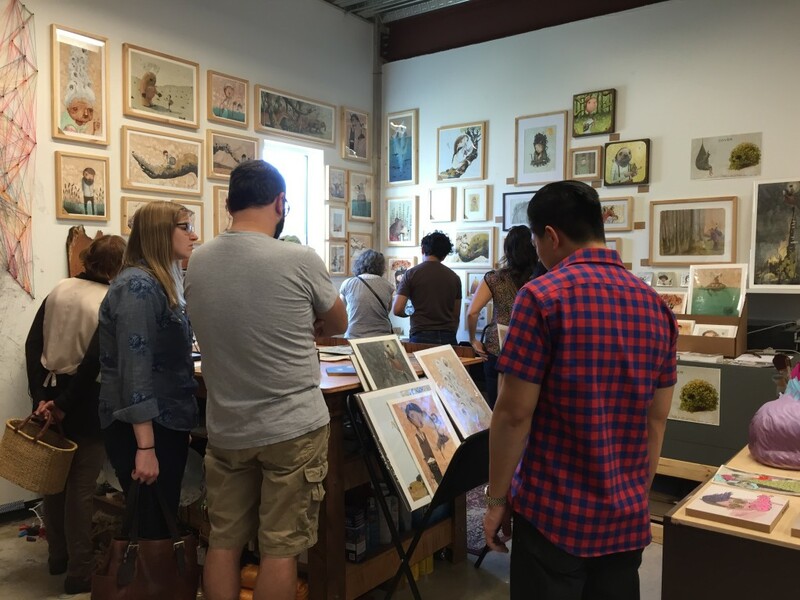 Back in November I went to the East Austin Studio Tour (which I had mentioned looking forward to in a previous post). I only saw a small portion of the studios participating and enjoyed seeing the vast array of artistic talent in Austin. This is definitely an annual event not to be missed. 4. When a friend from college came to visit, we treated ourselves to a meal at Qui. 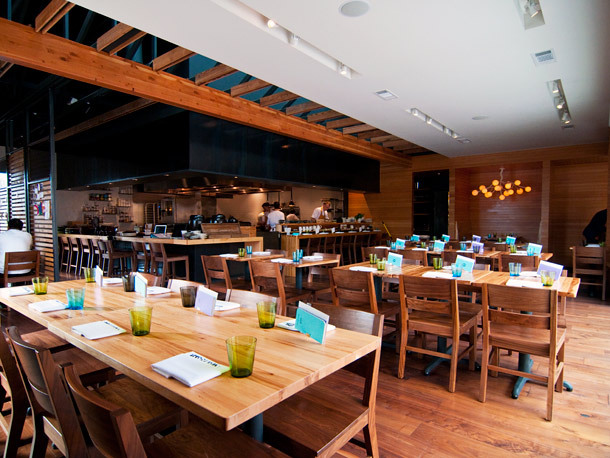 Qui is the brainchild of Paul Qui, an ubiquitous Austin restauranteur known for the food truck chain East Side King. Qui studied at Le Cordon Bleu, trained at Uchi and Uchiko, and won Top Chef season 9. This was the most fantastic meal I have experienced in Austin hands down due to the atmosphere, service, and of course food. The taste of yellowtail seared table side on binchotan with midorizu and flowers still lingers. 5. I kept hearing about Franklin Barbecue and the hours long line required to get in most days. As soon as finals were over, I decided to check it out for myself. Most people encouraged me to get the fatty brisket and I kept refusing, “No, I don’t really like brisket. 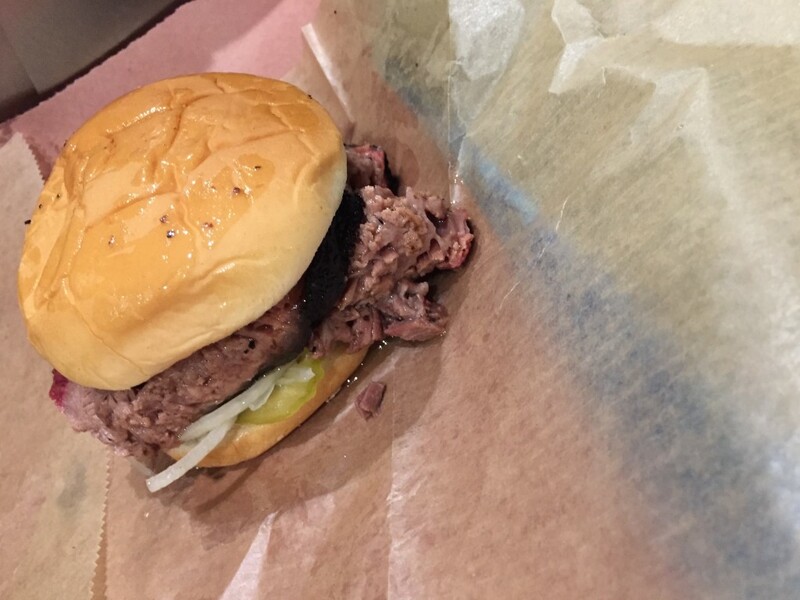 And I certainly don’t like fatty meat.” When I got up to the counter after about four hours of waiting and a staff member offered me a sample of fatty brisket unprompted, I bit the bullet. And then I ordered a sandwich with fatty brisket and never looked back. Now that you’ve heard some of my highlights, check back on the blog next week to see what I’m looking forward to this year.